Opened in 2007, the 18-story New San Francisco Federal Building stands among blocks that have a dense, diverse mix of low-rise light industrial and commercial structures. To the east is the 1905 Beaux Arts U.S Court of Appeals. 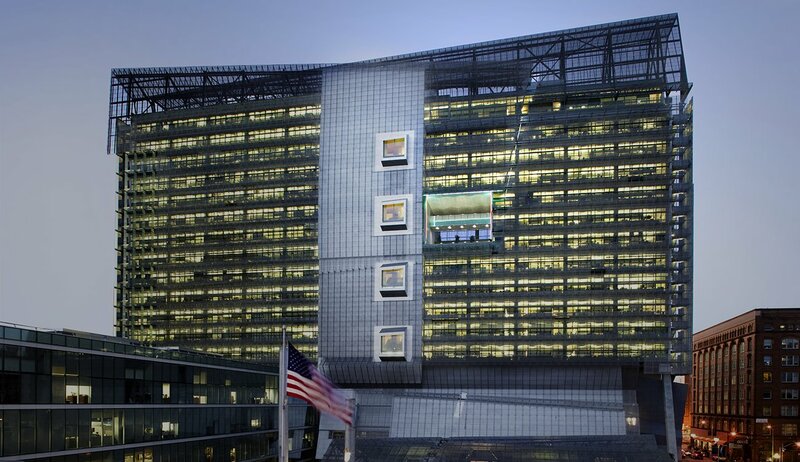 According to the building’s design architect, Thom Mayne, the project was developed around three primary objectives: establish a benchmark for sustainable building design through the efficient use of natural energy sources; transform workplace culture through office environments that boost workers’ health, productivity, and creativity; and create an urban landmark that engages with the community. This tour of the building will showcase how the building accomplishes those objectives. David Leites is the branch chief for design and construction programs for projects in CA, NV, AZ, HI, and pacific territories. Note: All participants must have a valid government photo ID (passport or driver’s license). No weapons are allowed. Allow 10 minutes to get through security.